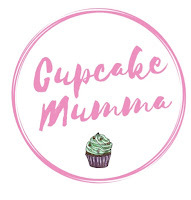 Cupcake Mumma: My Week That Was Instagrammed 6! 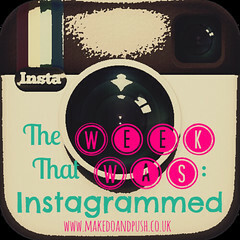 My Week That Was Instagrammed 6! Sunday was the day after the sleepover. Midge came home at 11pm the previous night so camped in the attic with the boys and Jay. During the day, I painted their faces before they left for home, we did last minute homework (as you do!) and made some crisp chocolate cookies! Not much happened today. There was the usual school run and I collected some bits from town for a gift swap I'm taking part in. I posted my gift for September to a fellow blogger whose little boy had an operation today. A better photo will be up on a post shortly! Wednesday was a tidy up day for us (so naturally Daddy and Little A took this as a perfect opportunity to mess around!) It was also 'bill paying day' which we all love don't we? I took a breif moment before bed to look out of the skylight and see the nights view. I love all the lights and the fresh air. Very relaxing. We did our weekly shop today treating ourselves to lunch in the cafe while we were there. I don't why I waste my money to be honest but it's something to do together isn't it? It was another lovely day so I enjoyed a slow walk to school to collect Midge and my nephew. The Poptarts are just to tease my little sister who is up in university and can't possibly afford the new American Poptarts in our local stores new American section..I know i'm so mean.. It was a surprisingly windy but warm day today. I had a lovely stroll to school with Little A, treated both little ones to a magazine and sweetie for being well behaved and finally found a gluten and dairy free soup! It's called Amys kitchen and is so good! I have made my own many times but I'm just not a good soup maker so I'll stick with this Italian flavour soup despite the price. I also had a delicious rice dish for dinner with free from naan bread. Both my two pinched every last bit of my yummy bread! I really scored some brownie points today by treating hubby to the new FIFA game. Go me! I had an awful day in all honesty! I couldn't sleep until 2am and little A woke at 4.30 in the morning to get up! Jay got up with him but failed in giving me a decent lay in by allowing the children to create so much noise I got up anyway! The whole day was spent bickering, solo parenting, witnessing hideous tantrums and lots of back chat. The only good thing about Saturday was my hot cross buns turned out really well and tasted delicious. Oh and Jay came home from football to take over! What have you all been up to this past week? Do visit more lovely blogs over at Make, Do and Push! I'm sorry you had such a tough Saturday! I hope you managed to get some sleep on Sunday :) Your hot cross buns looks tasty!